In record timing – just 5 days – Vancouver comedian Charlie Demers has exceeded his modest $5000 fundraising goal for new project Leftovers. They say that comedy is tragedy plus time – so Neworld Theatre might just be experts at turning some bad news into a massive opportunity. The 19-year-old non-profit theatre company had recently commissioned CBC Debaters funnyman Charles Demers to create a one-man show titled Leftovers. 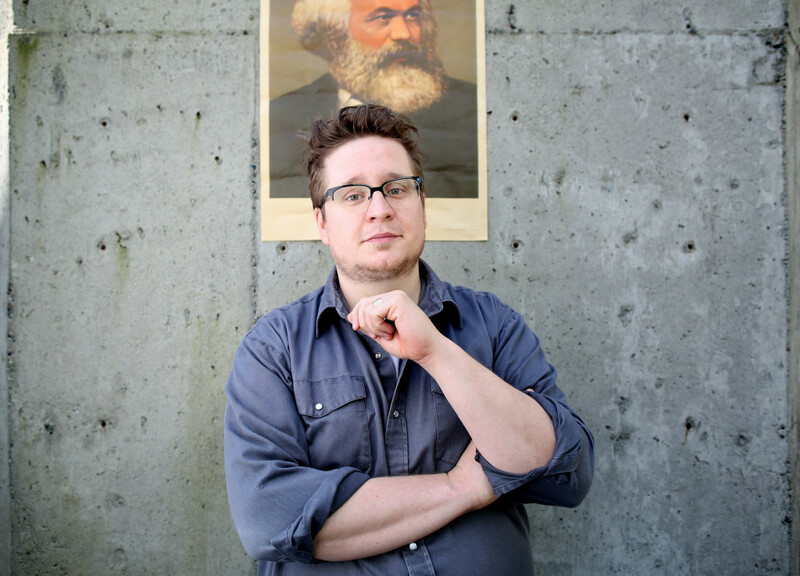 Demers, a self-described socialist, has a lot to say about being born in the year 1980, which he deems “the Left’s equivalent of the Mayan calendar’s 2012.” This kind of irreverent, sharp political humor is exactly in line with Neworld Theatre’s programming, which currently features the brutal Winners and Losers. The Hitch: City of Vancouver’s Residency program, which offers funding to companies wishing to support artists through the creation of new work, got the axe for the 2013 fiscal year. Neworld wondered if there was a future for Leftovers until a most socialist of ideas presented itself – crowd funding. Demers and Neworld launch their Community Commission campaign, calling on fans of theatre, comedy and social justice to become part of Leftovers’ creation. “To be able to share Leftovers means a great deal to me – it’s the culmination of many years worth of political and comedic thinking,” says Demers. “It’s a story that I’ve been living for more than two decades, and this is the way to tell it: on stage, with guidance and direction from my friends and colleagues at Neworld.” With the help of the Community Commission campaign, the show will go on for Neworld and Leftovers. With more time to go in the campaign, stretch goals and some pretty big announcements are on their way. To contribute and check out their cheeky perks (donors at the Chretien’s Cronies level get a personalized tweet from Demers, for example), visit the Leftovers campaign on Indiegogo.